manufacturers of applications and devices used in those transactions. As a merchant of AMS you can rest assured that your customers's cardholder data is in good hands. 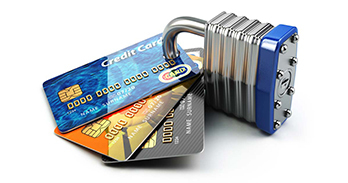 AMS is a certified QSA provider and requires all of our partners who access cardholder data to be PCI DSS compliant. Futhermore, AMS monitors the status of these partners on an ongoing basis to ensure they are continuing to keep their accreditation from the PCI Security Council updated. 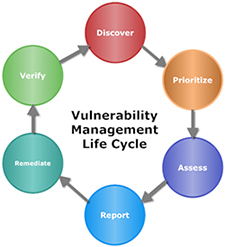 PCI compliance is not a single event, but an ongoing process. All businesses that process, store, or transmit payment card data are required to implement the requirements outlined in the PCI DSS to prevent cardholder data theft. Technology and card processing situations change. Our program saves you time as your single point of compliance support. How you process payment cards determines your PCI requirements. To save time, use our online PCI scoping wizard, SecurityMetrics Expert, to discover your PCI requirements. Or, call one of our agents for help 24/7. All merchants are required to complete a Self-Assessment Questionnaire (SAQ) for PCI compliance. Your specific questionnaire is determined by how you handle payment card data. SecurityMetrics ensures you are completing the applicable SAQ and our award-winning support team helps you complete it accurately. Merchants that process, store or transmit cardholder data online are required to have external network vulnerability scans performed by an Approved Scanning Vendor (ASV) on their network or domain. Merchants are required to validate and report their compliance to their merchant processor. To ensure you remain compliant and avoid potential non-compliance fees, we report your compliance to your merchant processor, send you account updates, and contact you for PCI service renewal.